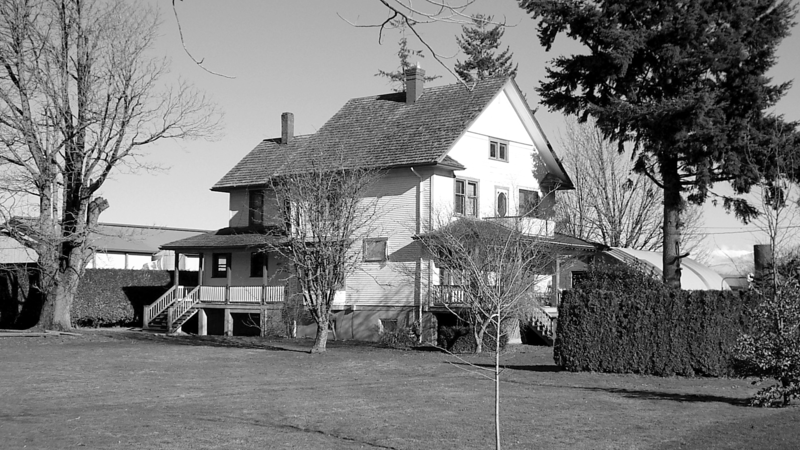 Originally owned by Clifford M. Pearson, Pearson who had been born in Ontario in 1883, and moved to Chilliwack with his family one year later. Pearson was one of the proprietors of the Pearson Bros. store in Sardis, and at one point worked for contractors Ernest Hill. In a typical elaboration of the era, the siding changes from drop siding at ground level to lapped siding above. 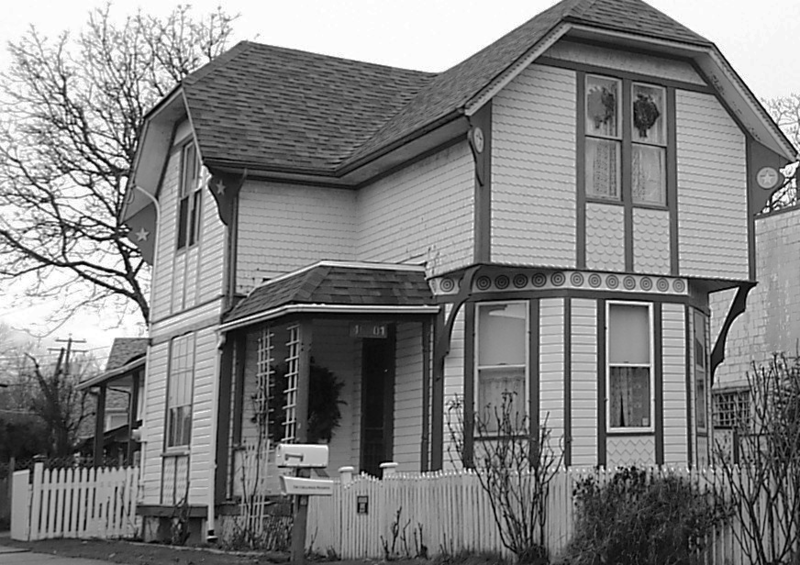 “This was the first concrete block house to be built in Chilliwack. Starting in 1909 William Walker began to manufacture the blocks, then hired Ernest Mill to assemble them. This was the prototype for a number of others that Hill went on to build. The Chilliwack Progress of February 28, 1912 reported “Walker… has the satisfaction… of knowing his work is a permanency and should last many decades after he has ceased to need it”. In the 1940’s the house was owned by the Count and Countess Van Rechteren, who named it ” Zoeterwoude” after a village in Holland; Princess Juliana was one of the visitors to the house during the Second World War. 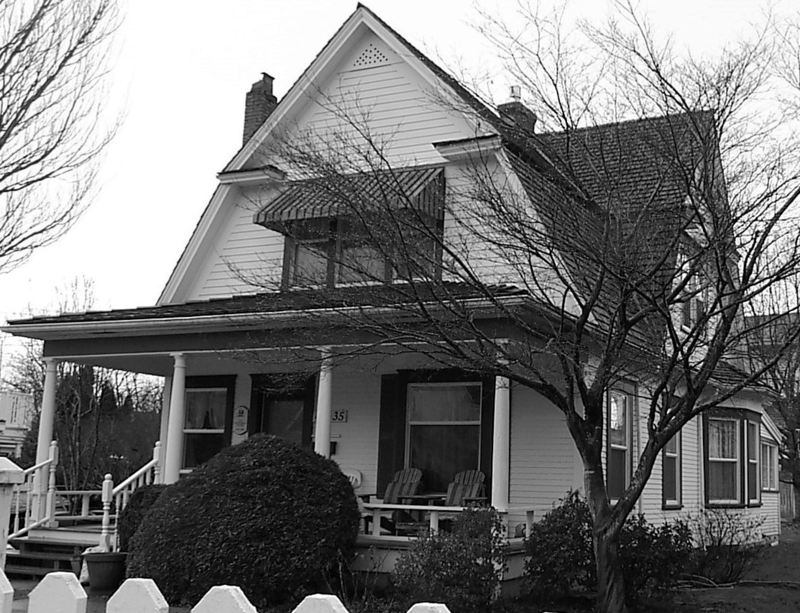 The house was designated a Heritage House in 1989. 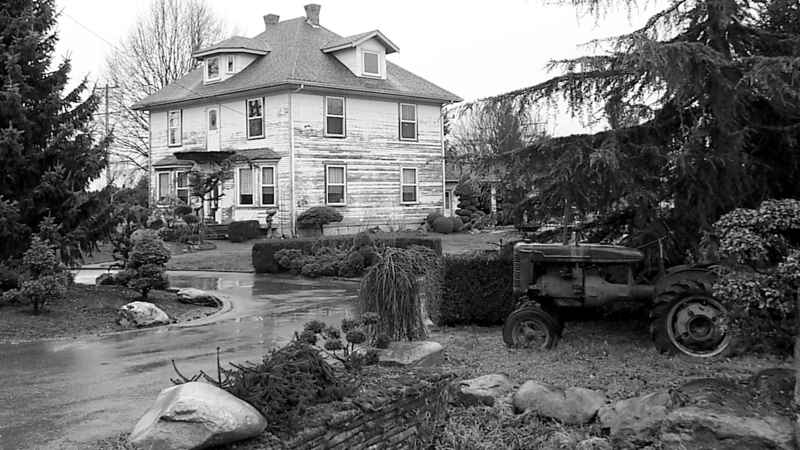 This Imposing farmhouse, built for A.D Clark, is located at the intersection of Lickman and Sumas Central Roads. The large front yard retains a number of early plantings, and there are orchard remnants adjacent. A large open front verendah provides a gracious entry; the house has been very well maintained. (Chilliwack Archives, Chilliwack Heritage Inventory). James Hebert Keith was born in 1865 in Havelock, New Brunswick; he married Laura Alma Bonter in Chilliwack in 1893. They established this dairy farm on Lickman Road; James built this prominent house for them and their six children to designs conceived by Alma. The house and farm were later owned by W.T. Richardson, Council member for 31 years and a long time member of the Canadian Guernsey Breeders Association. The old B.C. Electric Railway tracks run adjacent to this tall, symmetrical Foursquare house. (Chilliwack Archives, Chilliwack Heritage Inventory). I had the pleasure of talking to the owner of this home. She came out and spoke to me when she saw me photograph her home. She told me when she was younger she would drive by this home and did not like it much. Its strange how things go in life huh. She now owns it. She explained to me that that her family had made a few changes to the upstairs of the home to accommodate their needs, but it was not dramatic. This picture was taken on January 29, 2014. Link to Chilliwack history in photos./ A must see.